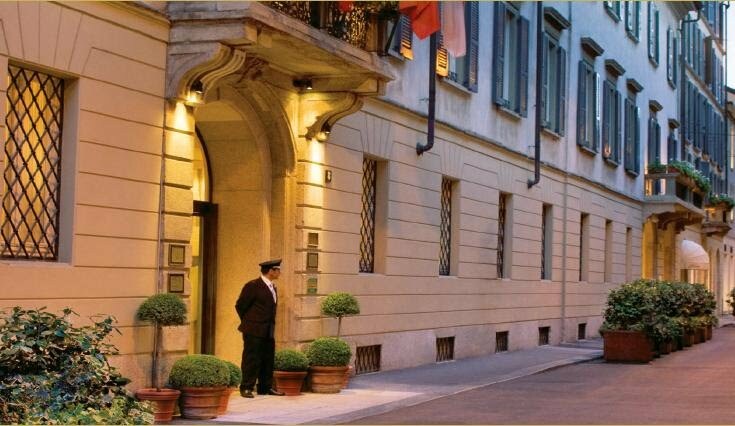 With its 118 elegant rooms and suite the Four Seasons Hotel Milano is located at the very center of the city, in one of the most historical area. The rooms are framed by a wonderful XV century chiostro and its Italian garden. The Four Seasons Hotel Milano is the favorite spot both of those who travel and for those who live in the city: the Foyer Bar lounge is the most exclusive meeting place in the Fashion District, whereas the restaurant “La Veranda” is the ideal location to enjoy Mediterranean cuisine and local specialties, masterfully prepared by the renowned Executive Chef Sergio Mei, using only season fresh ingredients. The exclusive spa, designed by the architect Patricia Urquiola, is a real sanctuary for tranquility and relax, where one can indulge in exclusive beauty and wellness rituals in seven treatment suites, sauna, steam bath, pool, jacuzzi, fitness area and hair spa.